Students have access to the most current account information through Account Inquiry via their myUMBC accounts. Parents/others can be granted access to your student billing and financial aid information, please see our Profile Sharing Instructions. The difference between E-bills and Account Inquiry is that E-bills cut off at a specific time and are a snap shot of the student account at that time. Account Inquiry is a view of the student account activity as it happens. Payments and adjustments are reflected there in real time and shows the activity that happens in between E-bills. 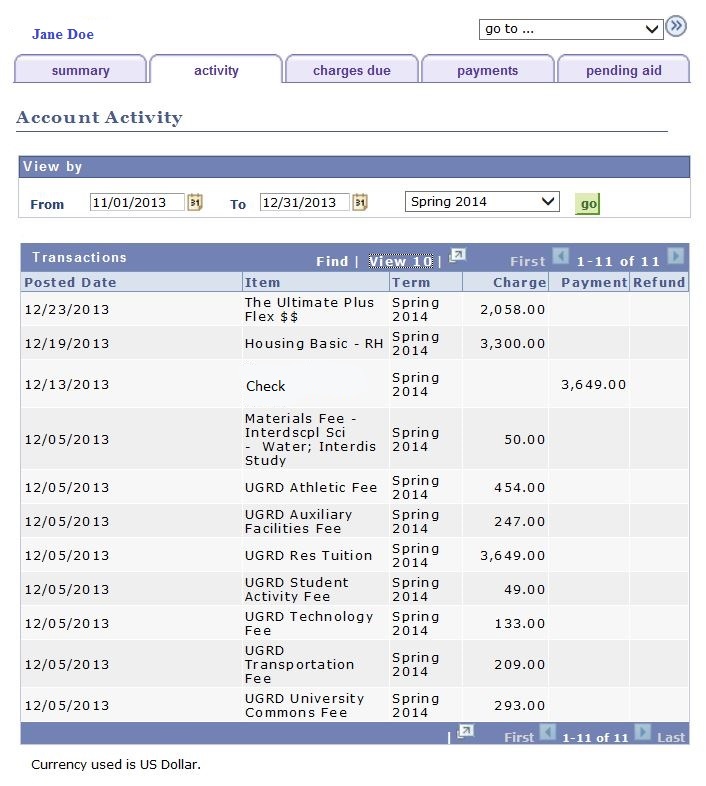 Account Inquiry shows balance information, payments received, financial aid that has posted and much more!